Every user of iTunes knows that iTunes has changed its interface since iTunes 12 came out. This means the way you use iTunes has also changed. You cannot use iTunes 12 the same as you use iTunes 11 or earlier versions, especially in the way you find a movie and rent it from iTunes store. 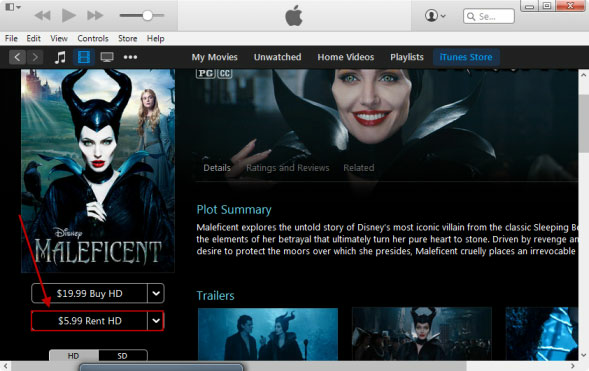 You will notice the difference in the following tutorial on how to rent a movie in iTunes 12 on your computer. First of all, you need to open iTunes and find and click iTunes Store on the right of the middle toolbar. Second, click the Movies icon in the middle of the left toolbar to show the interface of the Movies. Third, choose the movie you want to rent and click Rent button in the left column on the new interface. (If you want to purchase the movie, click buy button instead.) Should I rent or buy iTunes movie? Forth, input your Apple ID and password as Verification Required. And then click "OK". If this is the first time you purchase or rent an item, you will be requested to answer security questions in order to verify your identity. Finally, do as the following renting process guide you to finish renting the movie until it is downloaded to your computer. 1) Transfer to iPhone, iPad, iPod and Apple TV. 1. Connect the mobile device to computer and select it in the iTunes by clicking File > Device on the upper left. The sync window will load. 2. Click My Movies at the top of the sync window to show all movies you rented and purchased. Check the rental movie you want to transfer. 3. Click "Sync" button to transfer the rental to your Apple device. 1. If you want to stream the rental movie to Apple TV, you need to click File > Home Sharing to turn on Home Sharing for streaming. 2. After transferring, the rental will be removed from iTunes library. 2) Transfer to non-Apple devices like Android phones / tablets, Windows-based phones / tablets, TV, etc. This is impossible unless the iTunes rental video's DRM is removed. The videos no matter purchased or rented from iTunes store are protected by FairPlay DRM which prevents from transferring or copying to non-Apple devices for playback. 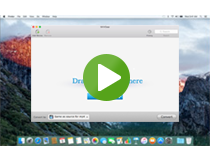 In order to remove DRM from the rental, DRM Removal software which can remove DRM from iTunes rentals and keep iTunes rentals forever is required. 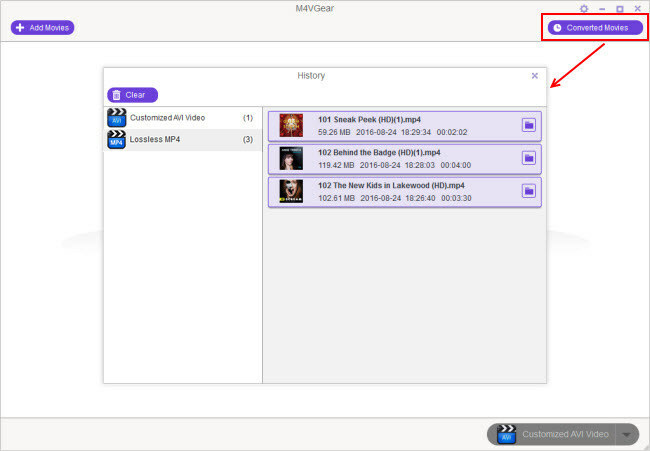 M4VGear DRM Media Converter is the fastest and powerful DRM Removal Software which can losslessly remove DRM from iTunes rentals and convert them to DRM-free MP4 videos without time limitation for watching. Another important and unique feature of M4VGear is that it can keep all multilingual subtitles and 5.1 audio track when removing DRM from iTunes rentals. How to Remove DRM from iTunes Rental with M4VGear ? 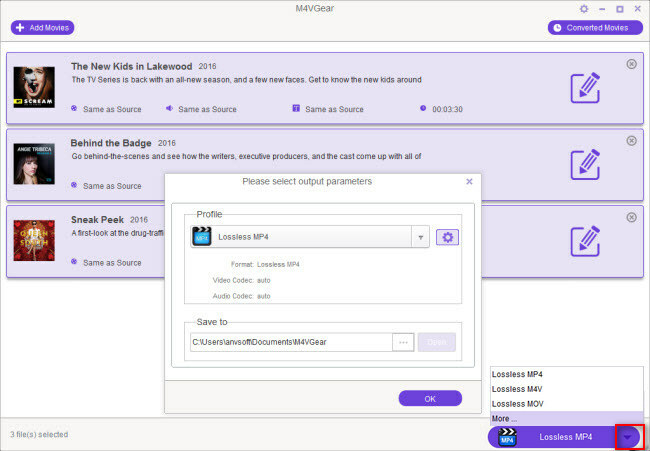 Step 1: Click "Add Movies" button on the upper left of M4VGear interface to show all purchased and rented items of your iTunes and then check the rentals you want to convert. Click "OK" to add those checked items to M4VGear interface. Step 2: Click to set output format on the bottom right. When you set output format as "Lossless MP4", the iTunes videos can be converted to DRM-free format at 20 faster speed with AC3 Dolby 5.1 surround, Closed captioning (CC) kept. Step 3: Press ouput profile button on the bottom right to start removing DRM from selected rentals one by one. Step 4: Go to the output folder and find the DRM-free MP4 videos. Next, transfer them to your non-Apple devices via USB for playback. Note: Please use the converted MP4 videos only for personal purpose and do not spread them on Internet. 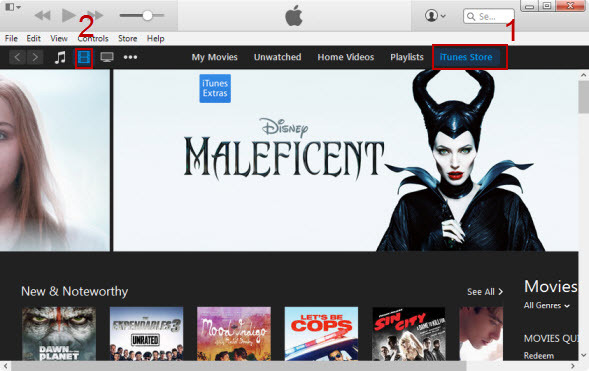 Renting a movie in the latest brand-new iTunes store is easy. By reading the steps above, you can not only learn how to rent movie from iTunes 12, but also know how to keep your rental iTunes movie forever with M4VGear DRM Media Converter. 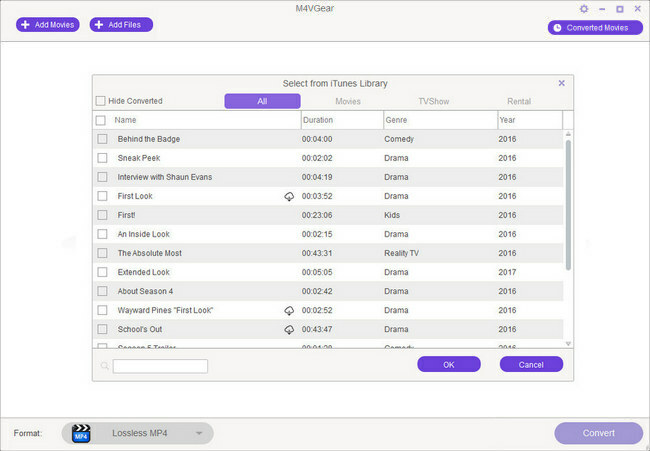 Tips: M4VGear will offer you a 1-minute free trial which lets you convert one minute of iTunes rentals for free. If you want to unlock the time limitation, purchase M4VGear at $44.95 with all updates free of charge.